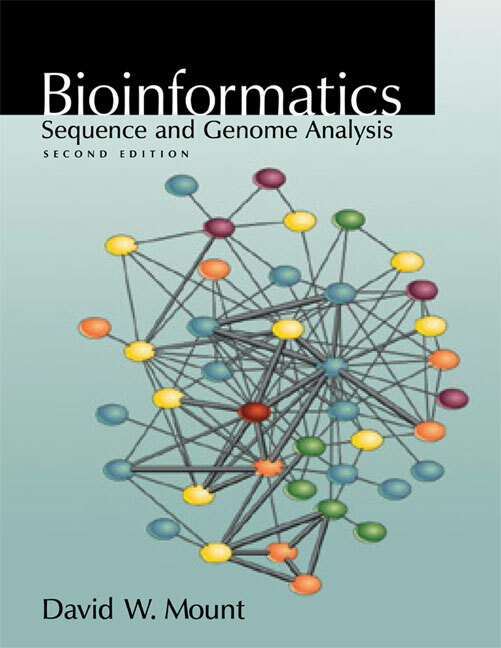 The Bioinformatics online Web site, www.bioinformaticsonline.org, augments the content of Bioinformatics: Sequence and Genome Analysis, Second Edition. Users of this site can: access Web sites mentioned in the book from hyperlinked versions of the relevant tables, access BioPerl, Perl, and R script programs described in the book and receive announcements about updates and additions. Click here to view the growing list of universities adopting Bioinformatics: Sequence and Genome Analysis, Second Edition for course use. The Bioinformatics online Web site and University listing will open in new browser windows. As more species' genomes are sequenced, computational analysis of these data has become increasingly important. The second, entirely updated edition of this widely praised textbook provides a comprehensive and critical examination of the computational methods needed for analyzing DNA, RNA, and protein data, as well as genomes. The book has been rewritten to make it more accessible to a wider audience, including advanced undergraduate and graduate students. New features include chapter guides and explanatory information panels and glossary terms. New chapters in this second edition cover statistical analysis of sequence alignments, computer programming for bioinformatics, and data management and mining. Practically oriented problems at the ends of chapters enhance the value of the book as a teaching resource. The book also serves as an essential reference for professionals in molecular biology, pharmaceutical, and genome laboratories.